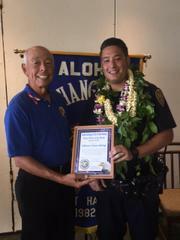 Photo caption: Aloha Exchange Club board member Joey Estrella presents an ‘Officer of the Month’ award to Officer Thomas Chun-Ming. 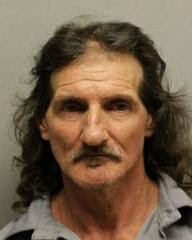 Photo courtesy of HPD. South Hilo Patrol Officer Thomas Chun-Ming was recognized by The Aloha Exchange Club of East Hawaiʻi on Thursday, April 27, as the East Hawaiʻi “Officer of the Month” for April. 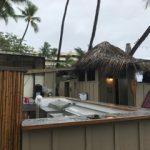 Chung-Ming was on patrol in the Honomū area on March 27 when he received a call about a suspicious vehicle at a vacant home. Investigating the incident further, Officer Chun-Ming found a male and female whom he arrested for Criminal Trespass in the first degree. 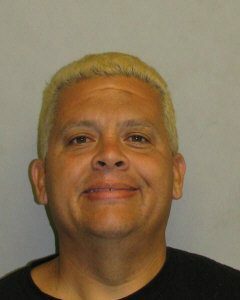 The male suspect who was arrested was also charged with Promoting a Dangerous Drug and Drug Paraphenalia. On shift later the same evening, Officer Chun-Ming identified a truck without a safety inspection sticker and followed it into a side-street in Pepe‘ekeo. The vehicle stopped abruptly and two males got out in a hurry. Officer Chun-Ming ordered the pair back to their vehicle, then made contact with the driver and smelled burnt marijuana. He also found drug paraphernalia inside the truck. Officer Chun-Ming arrested the driver for Promoting a Detrimental Drug in the third degree and Driving without a License. 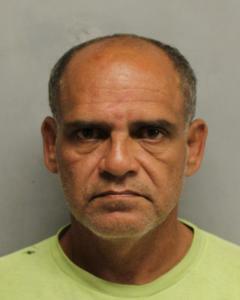 The vehicleʻs passenger was also arrested for a no bail warrant and Promoting a Detrimental Drug in the third degree. The truck was recovered as evidence. Following a continued investigation by the Hawaiʻi Police Department’s VICE section, 1.5 grams of methamphetamine and “meth pipe” was recovered from the truck after a narcotics search warrant. The two suspects were given additional charges, including three counts of Promoting a Dangerous Drug in the third degree and three counts of Drug Paraphernalia. On the next day, March 28, Officer Chun-Ming spotted a vehicle reported stolen traveling past him on Highway 19. He searched diligently for the vehicle after losing sight of it, finding it on a muddy, unpaved road. Two males fled from the vehicle on foot when Officer Chun-Ming approached. After a short pursuit, Officer Chun-Ming apprehended one of the males until backup officers arrived. The second suspect was tracked down by a Hawaiʻi Police Departments tracking dog and arrested. Both men were arrested for Theft in the second degree and one of them was also charged with Promotion of a Detrimental Drug.